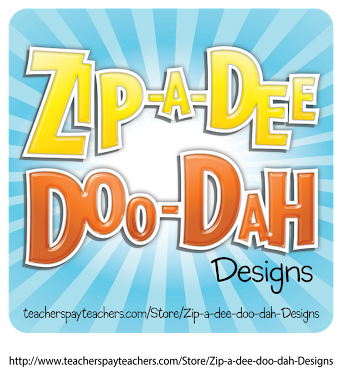 Luckeyfrog's Lilypad: Open House or Meet the Teacher Night for New Teachers- FIVE freebies! Open House or Meet the Teacher Night for New Teachers- FIVE freebies! I've been running a series of new teacher tips called I Just Got a Teaching Job… Now What?! I don’t know about you, but for me, meeting the kids is nowhere near as nerve-wracking as meeting the parents. If your school has Open House, Back to School Night, Meet the Teacher Night, or anything of the sort, it’s probably one of your biggest worries as a new teacher. For me, I student taught in Spring- so I hadn’t been part of any of this beginning of the year stuff, and I felt downright clueless. Since my parents didn’t officially come in before the first day, I made a brochure to leave on my door during registration with very basic information to know before school even started. Not every parent picked one up, but I had two or three parents mention it later, so I think it was a good move! Yes, the Scotch tape is not the best look, but it was falling apart without it! - Is there an open house? - Is open house before school starts, or after? - Is there a set day/ time for the whole school or grade level, or do I choose when to have it for my class? - Are students invited? What about siblings? - What sort of things do you set out for parents? Do you have them fill anything out? At my old school, it happened before school, for the whole school on the same night, with a specific schedule. At my new school, we have a “walkabout” on the first day where parents can visit their child’s classroom before leaving, and most teachers also have their own parent meeting or open house in the next couple of weeks. The time of your open house makes a big difference on what to do. It’s also a good idea to find out or decide if there’s a specific time frame for all of the parents to listen to you present, or if families will trickle in and out over a longer time frame. something that will get them excited about the year! When parents arrived at open house (for me, it was the 2nd week of school), here’s what they saw. The Target pocket chart had directions, and then I put out a parent sheet and packet. The sheet I wanted them to return was BRIGHT pink, to hopefully make it stand out. Grab your freebie copies of the parent information sheet and generic parent packet here. When parents are trickling in, you want them to have something to do. I like to have things the kids are excited about, because then the kids drag their parents straight to their desks. I had my kids give their parents a “quiz.” That day at school, kids filled out their favorites, and a note to their parent. I got the quiz from Rachel at Minds in Bloom. You can pick up her freebie here. You can also get a copy of my parent volunteer form here (free). The kids also got to share some of the work they’d done- a mini-book, Graphing Myself (grab as a freebie from The Tattooed Teacher! ), and an All About Me writing project. This was our first writing project. I model brainstorming important things about myself, such as things I like, things I’m good at, things about my family, places I’ve been, what I look like, how old I am, and if I’m a boy or girl. Kids can use more than one page if they need to, and I staple them together along the top. see if they are right! We discuss ahead of time that their head should almost fill the page, and that they don’t look like a smiley face. We have noses, eyebrows, and eyes that don’t look like just dots. Unless long hair is covering them we have ears, too! We really focus on filling the page and adding lots of detail, and they turn out great. The kids love seeing if they can stump their parents, and they make a really nice keepsake. I also hang onto them until the end of the year so kids can see the difference in their writing skills, their handwriting, and their drawing. You can pick up a freebie copy of the All About Me writing sheet here. - Make sure you have a parent conference sign-up sheet, so that parents with concerns can be pointed in the direction of a sign-up, and hopefully you won’t have to stay all night. - Get yourself a new outfit for the night. You don’t want to do the whole try-on-10-outfits-until-you’re-satisfied thing and be late! Don’t forget a piece of jewelry or two- I’m no fashionista, but you want to look pulled together to both make a good impression and to feel confident. - Consider making a quick slideshow of the basics you want to cover. It’ll help you focus on your presentation. Whew. I hope this helps! I’d be so happy if you’d consider following or pinning anything you love, too! Happy back-to-school time! Cute ideas for Parent Night!! I would love a copy of your brochure template if you're still willing to share! Thank you so much for this post! I will be a first year teacher this Fall. :] Downloaded everything! I would love a copy of your brochure template! Love your ideas! I love all of this! Is there a Spanish version available for the parents? I would love a copy of your brochure template as well as the parent information sheet that is editable if possible because the pdf version has last year's date on it! Thanks. As a new teacher I have been brainstorming and looking for Meet the Teacher documents. I have downloaded the Parent Packet and the Quiz! Thank you so much for sharing!